The Introduction to Oral History Workshop for the SOHA 2017 Conference is happening now. We are excited to see this group learn together. This session is presented by Danette Turner who is a U.S. History Lecturer at Chandler-Gilbert Community College. She is assisted by Sarah Moorhead, who is a SOHA Past President. These ladies also served on the Local Arrangements committee. Thank you! This introductory workshop for budding oral historians will discuss the importance of oral history and how to do it, how to select recording equipment, how to use SDHC archival resources, and how to transcribe and preserve interviews. Taught by SDHC Oral Historian Amanda Tewes and Archivist Jane Kenealy, this workshop is perfect for those interested in starting family, community, and academic oral history projects. Includes 30-minute coffee break. Saturday, March 25, 2017, 9:00 a.m.-12:30 p.m.
Visit http://www.sandiegohistory.org/event/preserving-family-history-series-oral-history-workshop/2017-10-21/ for more details. We are thrilled to announce our keynote speakers: Gary Wolf andKim Christen! As the centrality of personal digital archives and the ubiquity of digital content grows, librarians, archivists, scholars, students, activists, and those who fill the role of the “family IT person,” have to deal with how to best select, preserve, and manage digital material. PDA 2017 seeks to host a discussion across domains focusing on how to best manage personal digital material, be it at a large institution or in a home office. Please note that you must be registered for the PDA conference in order to attend a workshop. Include your workshop selection in your registration. If you have already registered for the conference and wish to add a workshop selection, please do so using the link below. 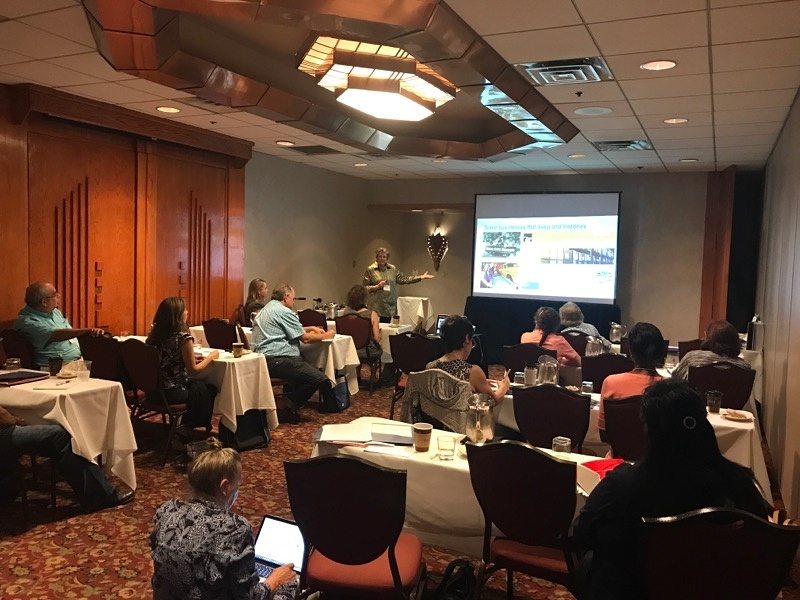 Join SOHA at our annual conference in Tempe, AZ! We are offering an introduction workshop on Thurday, April 27th from 8:30-noon for $20. *Full registration includes the welcoming reception, two meal events, and special off-site activities. 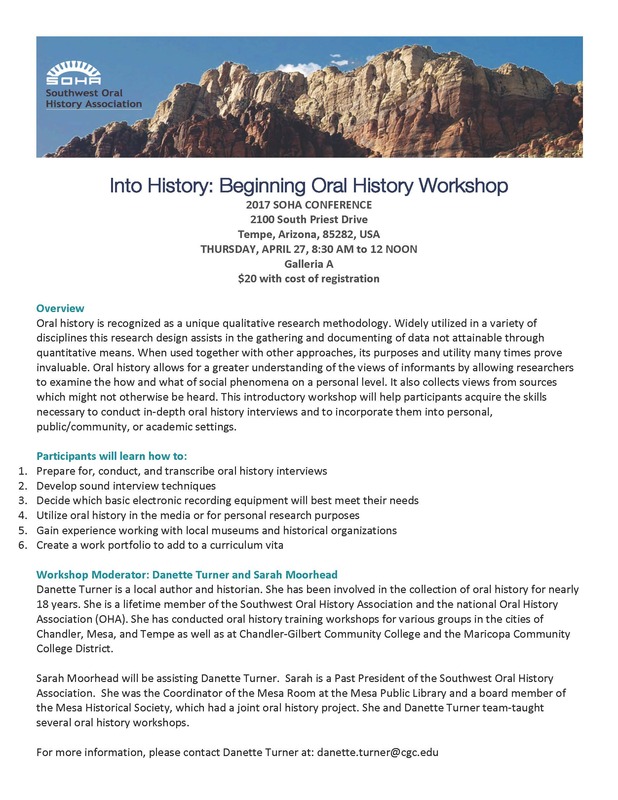 Inviting Southern California residents to attend this upcoming oral history workshop at CSU, Fullerton campus at the Center for Oral and Public History. RSVP today to reserve your spot.